Precious metals such as gold and silver are a great way of diversifying your investment portfolio. If you’re looking for a solid longer-term investment that can act as a great safe haven against both drops in the stock market and inflation risks, then you may want to consider investing in silver. publications, then you may have already heard the phrase “silver stacking” before. For those who haven’t previously heard the term, it is generally used to describe someone who stockpiles silver, usually in the form of bars, coins or rounds. Anyone who collects silver in some form or another can potentially be classed as a silver stacker. Silver is a popular choice for investors largely due to its affordability which allows investors to buy it in larger quantities. Coins particularly are a very popular way of buying silver as they are one of the easiest and most interesting methods of collecting. Unlike coin collectors, however, silver stackers rarely pay attention to particular dates or designs and are more interested in the amount of silver contained in the coins. Why the need to stock pile silver? Silver, along with other precious metals such as gold and platinum, is often bought as a hedge against inflation. Many investors like to stockpile silver as it is a great store of value. In other words, it retains its value over long periods of time. Unlike paper money, silver has real value that isn’t dependent on government backing. This is one of the main reasons why it is such a popular investment. The more reliant we are on fiat currency and digital wealth, the more people will turn to tangible assets such as gold and silver to have a reserve outside of the system. A lot of silver stackers like to set aside a certain amount of money to invest each month. This can help spread some of the risk involved with investing in what is still considered a fairly volatile asset. Instead of blowing large amounts of cash all at once and facing the risk of being hit by a drop in silver prices, they can buy in smaller amounts, as and when they have the money. Right now, the price of silver is historically low which is strange, especially considering there is so much growing industrial demand for the metal. New uses for silver are being found all the time and it is one of the most widely used metals on the planet. Sectors that are continuing to grow in importance such as the solar energy and electronics/computer industry are increasingly turning to silver due to its many beneficial properties. Of all the metals, it is considered the best conductor of electricity, heat and light. With silver becoming such an important industrial metal, surely it is only a matter of time before it’s market price starts to reflect this as there is currently more silver being used on an annual basis than is being mined. Certain forms of silver such as Bullion coins can be bought VAT or tax free which makes them an attractive investment for stackers. 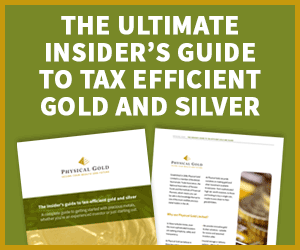 Here at Physical Gold, we specialise in VAT free silver bars and silver coins (such as Britannias). For more information on any of our products or advice on how to become a silver stacker, please give us a call on 020 7060 9992. This entry was posted in Blog and tagged Silver Investment, Silver stacking.